Steve Ashley’s latest album is already picking up rave reviews in the music and political media. 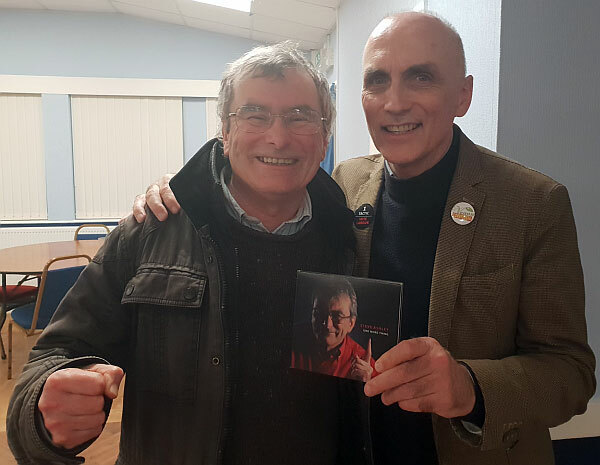 Steve Ashley with Chris Williamson MP, who says of One More Thing, “Really good songs”. 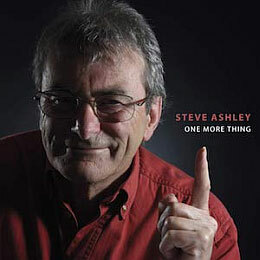 Theresa May, Donald Trump, The Windsors, George Clooney, The White Helmets, riot police, ‘terror correspondents’ and war-hungry politicians – all come under the closest scrutiny in Steve Ashley’s new album, titled One More Thing – amid the stunning melodies and fine English poetry that have hallmarked Steve Ashley’s creative output ever since his legendary 1974 debut, ‘Stroll On’. Dare to question all you see…, he says, on the last track of this, which he has announced as his final album, and true to his word he does exactly that throughout this radical collection of songs. Far from splenetic, good humour abounds as a gentle yet firm hand steers us through his latest musical essay into the state of our nation, and how leaders seek to manage our lives.Given to a light chuckle on occasion here, Ashley even collapses into laughter at the end of one song. One More Thing is a showcase for fine English folk songwriting, one that sets contemporary issues within a traditional construct. Dynamic, challenging and inspiring: this album marks the end of a highly original and distinctive solo career.